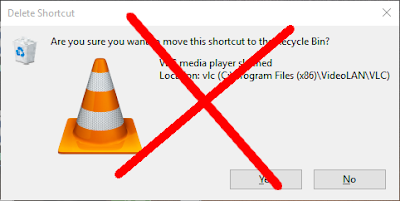 Locate the Recycle Bin icon in your computer desktop and Right-click on it. Select Properties from the menu that appear after you've right-clicked on the Recycle Bin icon. 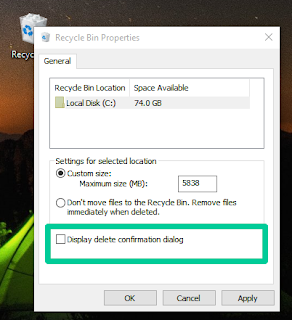 Uncheck the box Display delete confirmation box which is in the Recycle Bin Properties dialog box that will appear. That is all. You can try deleting something now to check if Windows will still prompt the delete confirmation box. We are 101% sure that Windows will not after you have done those steps outline above. Thanks for coming to us for solutions. We have more solutions for Windows10 related issues to come. So join our newsletter so that you will be notified when they are published. But main while you can browse through the already published article by clicking HERE or by clicking on Windows from the navigation menu above.